I have the same issue, see separate post! I have had similar issues, game loads fine, runs fine, i get to triton, land on triton, zoom around the planet a bit (anywere between 5 seconds to a couple minutes) with the lander grabbing materials or going straight for the ship and boom, crash. Mine is going to blue screen I believe (hard to tell as hdmi cable from video card out doesn't show a blue screen, it just shows no signal to monitor when it happens) but I have to hard restart my computer every time. Happened over 50 times now. have made it as far as seeing the alien in crashed spaceship to have it instantly crash before even seeing initial dialog appear. Extremely frustrating as my system specs are well beyond what is needed for this game. AMD FX-8370 Processor, 32 Gig Ram, GTX 1080 8gig Video card, Win 10 pro (newest version 1806 i believe is the number). Had video card and system status numbers up while playing, card not running hot, resources not maxing out, not even close actually. just boom, crash for no reason. Everything shut down in background on computer basically. but no difference. Troubleshooting Ive tried so far, which is a LOT. Paging file was regulated by windows, have tried it that way with no luck, even assigned a preposterously high number to it to see if that would help, gave it 10 GB of buffer to play with and still same thing, no difference at all. Have reinstalled game multiple times, full purge. Have moved file location and Steam to 3 different hard drives. Have done fresh install of video card drivers, audio drivers, motherboard bios, windows full fresh install. Have loaded game both from source file, and through steam, with no difference in results. 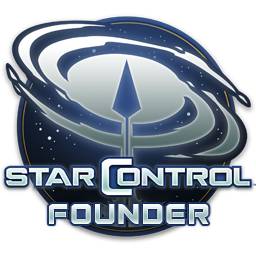 Have deleted system ini file multiple times, have deleted the entire star control folder from my games folder, have completely ported pretty much every executable in the game through my firewall, as windows event viewer showed unable to connect the webhelper executable through the firewall. still shows that even with it ported after each crash. the runlog.txt file doesnt really show anything. Can you link the post please Willie? Yeah im on my 3rd install now on another HD. Looks like it may be refund city for me if this keeps on happening. I'm not blue screening, but rather its the video just ceases to update, i can still hear audio fine after the "freeze" but then a hard crash out to desktop as soon as i hit esc and the lander leaves the surface. Thankfully i purchased on GOG so refund is an option but hoping i dont need to go that route. Anyway I guess Theme Point Hospital it is while I reinstall yet again . I found an Error_Thread00 file and found this error non stop. Any ideas here Stardock Support? NVIDIA 680GTX fully up to date. I am having the same issue. I was fine until about 5 hours into the game when suddenly after landing on a plant the game freezes, I can still hear the audio, then the game just shuts down back to desktop. I have uninstalled the game twice with no luck. Does anyone know a work around? Bump, any Stardock support staff around? Same here even went for a fresh windows 10 Install ive been told it dosent like the Nvidia graphics driver the 500mb update didn't help either. There seams to be an issue with the game using more and more memory when on the planets collecting resources from other posts. We are investigating a rare crash on some systems using NVIDIA display drivers (which you have). If you receive this error, restarting the game usually resolves the issue. In the rare event that restarting doesn’t address the issue, playing the game at 1920x1080 resolution or lower graphics settings may provide a temporary solution. We put in some code in the latest hot patch to throttle the GPU a bit. But be careful about overclocking it. I suspect all of you happen to have very high end GPUs. Make sure your GPU fan is set to normal or hasn’t been changed from defaults. The game is highly optimized so it tries to use your GPU completely if it can. We are talking to AMD and NVIDIA on this issue as it’s going to become more common as more core neutral games get released. In the meantime, we are here for you. We will do our best to solve this even if we have to code in a weird work around. Our job is to make you happy. Ill try disabling the AA again. I have now upgraded to Windows 10 at considerable expense, it didn't help much. Awesome, let us know please and thanks again for your patience and support - can't tell you how much each mean. Thanks for following this up Sean and Frog. Doing better after implementing some of the changes (and also not sure if the new opt-in patch) has anything to do with it as well. I went from 10-30s freeze and crash to desktop when landing on planets to this evening where i could get a few hours of interrupted play. Still crashed out about 6 times but this is really improved. Looking forward to the reply from NVIDIA. Hi folks. Long time Stardock customer with most Stardock games purchased and played. I am having the same graphics freezing problem as reported here. Mostly during lander missions. The game sound will continue to play like the game is working in the background for about 5-10 seconds but the screen is frozen (cursor works). Then it hard crashes back to the desktop. I lowered the settings and turned off v-sync as recommended and at first it seemed to have worked as my play time went up but then it just happened again. I am loving the game but will probably have to shelve it until the crash source can be found. Can we force anti-aliasing through the NVIDIA control panel and disable it in game to have the same effect without the crash? If someone at Stardock could kindly put me on the list of customers to notify when they have a fix I would appreciate it. A beta patch notification, if possible, would be good too. the game was more stable but I am having the same crashing issues. the last one was 30 seconds in, Any sign of the patch yet? Yeah it was showing signs of letting up but im back to 10s-30s before crashing when landing on planets again. Will have to shelve this until Stardock and NVIDIA work out the issue. Please also put me on the list of folks to contact when this has been addressed. We're still looking for the cause. We're on the horn with NVIDIA on it. They're a great partner. In the meantime, we are still seeking workarounds. Ok, this is a hail mary but try turning off shadows and see if that makes a difference. Shadows off seems to be definitely extending the timeframe. I just went through several planets and no issues so far! I uninstalled the game, redownloaded and installed. Got about 1.5 hours in then crashes started happening again. I took off shadows as recommend by Brad, worked for a bit but then a crash happened. I am not getting the error reporting pop up by the way. When on the planet in a lander the graphics will freeze but the game continues to play in the background. You can hear the sounds going and you can still drive the lander around. If I randomly bump into a resource you can hear the collection sound. The crash happens when you leave the planet by hitting ESC. That's when my game crashes to the desktop with no error reporting. It can be 5 minutes, 15 minutes, or sometimes an hour but to be honest I think the longer play sessions are when I am not on planets much. I am doing quests, exploring systems or doing dialog. It makes resource gathering not much fun because you constantly wonder if it's going to crash soon so you can't enjoy the experience. If there is anything I can do to assist please let me know.